The black-capped lory also known as western black-capped lory or the tricolored lory, is a parrot found in New Guinea and adjacent smaller islands. 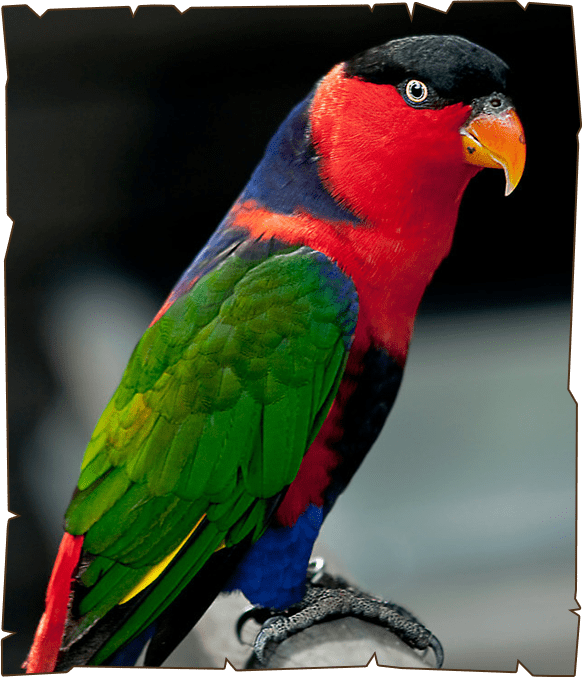 It is a colourful and relatively robust lory. It remains overall widespread and common, but the subspecies cyanuchen is relatively rare, with fewer than 5000 individuals remaining. Their diet includes pollen, nectar, flowers, fruit and insects and they are usually found in pairs and occasionally in groups of 10 or more. Black-capped lories are also adept at learning to speak. They enjoy clowning around and sometimes lie on their backs in their cage.